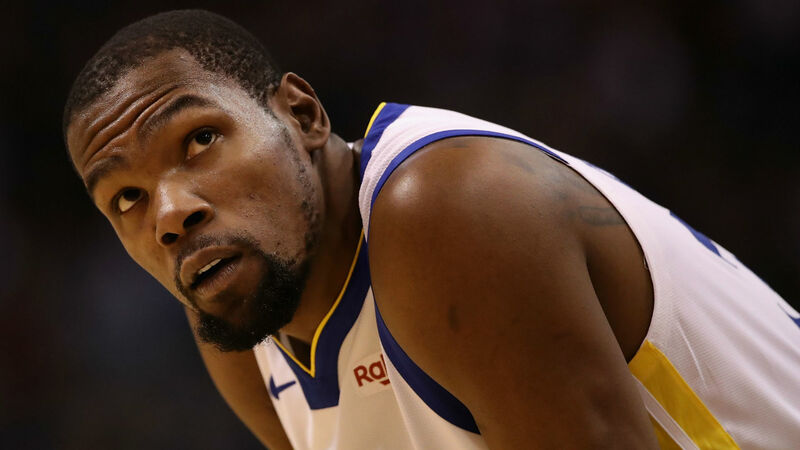 Kevin Durant’s future with the Warriors remains uncertain. Golden State has dominated the league and won back-to-back titles since Durant joined the team in July 2016. But, there are rumors circulating the 30-year-old star may become a free agent and head elsewhere this offseason. The Warriors are unsure what Durant will do this summer, an unnamed team source recently told The Athletic. Durant is averaging 27.6 points, seven rebounds and 5.9 assists in 35.4 minutes per game for Golden State this season. He’s shooting 51.6 percent from the field and 36.7 percent from 3-point range. Durant declined to discuss his upcoming free agency when he was asked about it at All-Star weekend. The Warriors will return to action against the Kings on Thursday. They’ll enter that matchup with a Western Conference-best 41-16 record.